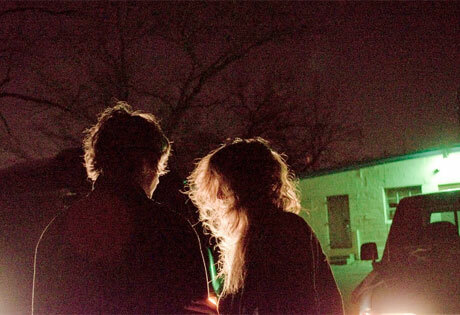 Beach House Cross Canada on "The Northern Exposure Tour"
Dreamy duo Beach House are going to be giving Canada special treatment this fall, since they've just announced a coast-to-coast tour of our country. The trek, dubbed "The Northern Exposure Tour," runs through the second half of September and the first half of October. It begins with a show in Alaska followed by 14 more in Canada. According to a press release, "Beach House have always wanted to tour in the 'The Last Frontier' and the 'True North' on previous tours, but until now scheduling has proven too great an obstacle. They're very excited to finally play live in intimate settings throughout these previously unexplored Alaskan and Canadian provinces." Beach House's last album was 2012's Bloom. They've been fairly quiet so far in 2014. UPDATE: A second Vancouver show has been added. ​Beach House Go Out of This World on "Alien"
Watch Beach House's Trippy Video for "Drunk in LA"